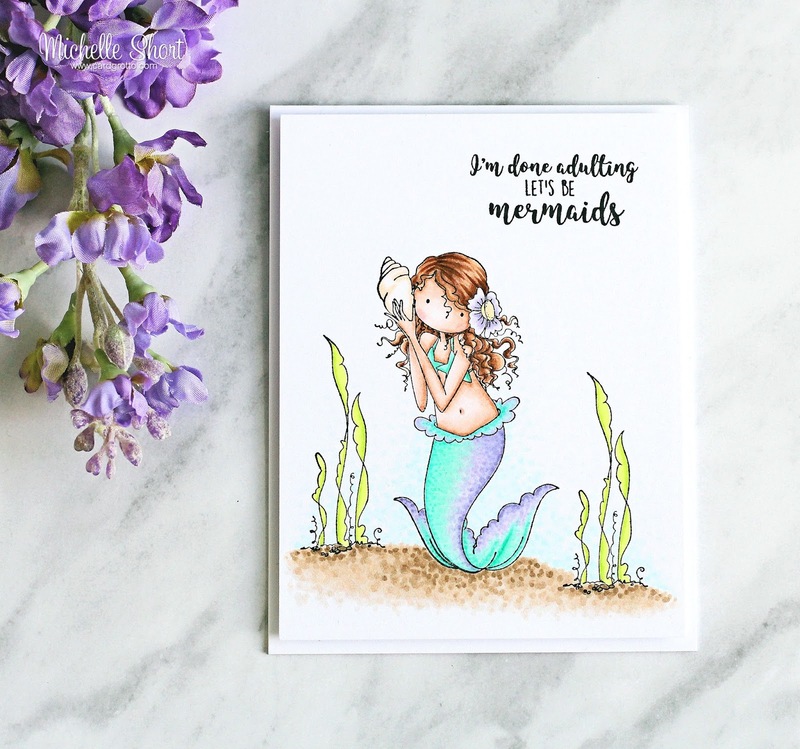 The Card Grotto: Let's Be Mermaids! 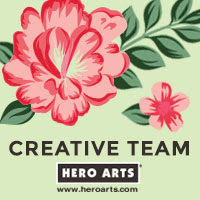 Hello there, I am super excited as this month I get to guest with Stamping Bella for their Wonderful Wednesday's With feature. 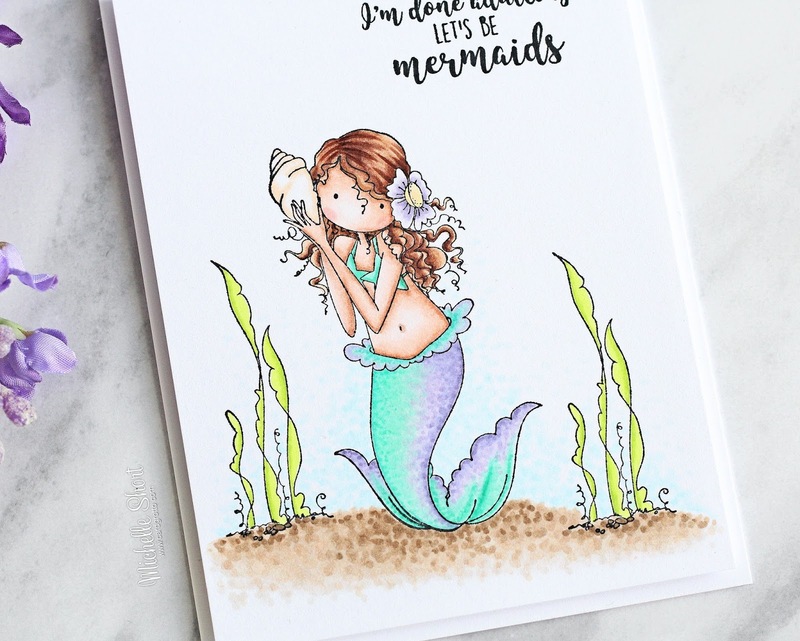 My card today uses the beautiful Tiny Townie Mermaid, along with a fabulous sentiment from the Under The Sea Sentiments Set. I started off by taking a piece of white cardstock and stamping the mermaid and two seaweed/water plants on to it using Memento Tuxedo Black Ink. I then coloured the image using Copic Markers The colours I used are listed below the supplies section). After seeing Michele Boyer colour her mermaid tail in two colours, I thought I would give it a go too and I really like how it came out! I took the sentiment from the Under The Sea Sentiments Set and stamped this in the top right hand corner. I then simply adhered the panel on to a white A2 card base with foam sheet and DST. COPIC MARKERS: Mermaid skin - E13, E11, E00, E000, E0000, R00. Hair - E27, E25, E23, E21. Flower - BV11, BV01, BV00, Y13, Y11, E50. Top - BG13, BG11, BG10. Tail - BG13, BG11, BG10, BV11, BV01, BV00, BV0000. Sand - E44, E43, E42, E41. Seaweed/plants - YG23, YG01. Sea background - B000, B0000. How fun is that sentiment? I love it! Thanks so much for visiting me today. 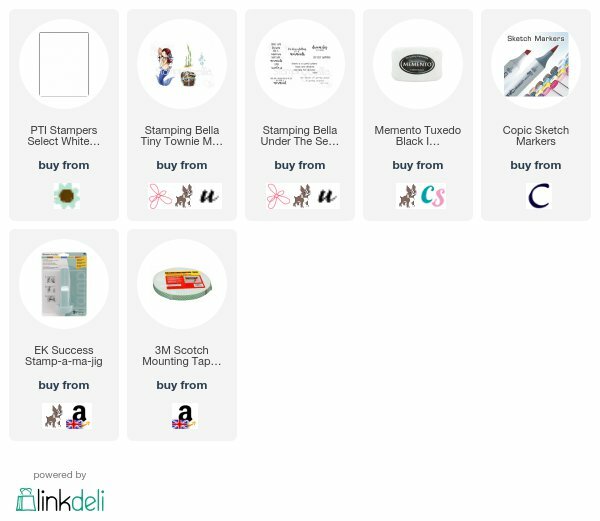 For more inspiration using Stamping Bella stamps and dies, please head over to the blog here. I hope you have a great day! 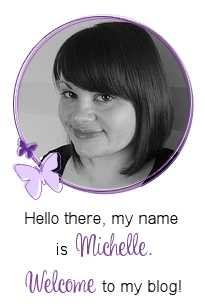 Amazing Michelle, love the colouring its very effective and the sentiment is brilliant ! Wonderful card, really love her tail! Great card! I love the sentiment!! Wow...this has to be the sweetest mermaid ever! What a gorgeous card. This one really made me smile, the sentiment's great!